This issue’s cover illustration is from The Knowhow Book of Spycraft by Falcon Travis and Judy Hindley, illustrated by Colin King. Thanks to Usborne Children’s Books for their help with this July cover and to Walker Books for their support of the Authorgraph interview with Petr Horacek. By clicking here you can view, print or download the fully artworked Digital Edition of BfK 201 July 2013 . Alderson and Foreman have created a splendid version of these much anthologized stories. The text is based on Richard Burton’s version of the Nights, originally published in the 1880s. Burton reveled in the erotica, violence and earthy humour of the tales, and his Victorian audience were scandalised and delighted by the collection. 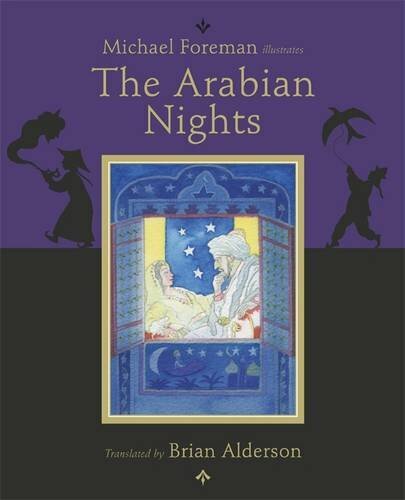 Alderson’s version is more restrained, though he has retained the murderous sexual jealousy in the framing narrative of Scheherazade and Shah Shahryar, and some of the coarse jokes. The tone of the language, particularly in the framing narrative, echoes the ornateness of earlier translations, though the tales of Ali Baba and Aladdin are told in a much more colloquial voice. Alderson provides an informative appendix on the development of this collection, and on some of the individual tales. The book is profusely illustrated with Foreman’s radiant paintings, including full page and double page spreads. This book is a colourful and fascinating resource, good for shared read-alouds and solo browsing.